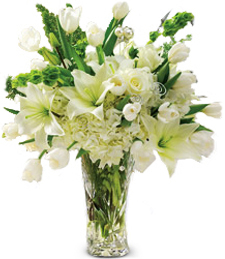 Simply stunning in its purity and elegance, this bouquet radiates with the beauty and sweet fragrance of white roses, tulips and other fresh flowers and greens. 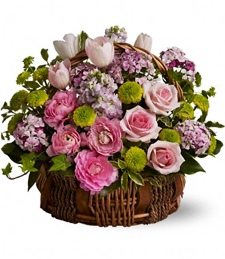 This gorgeous medley is an ideal way to express your warmest sentiments. 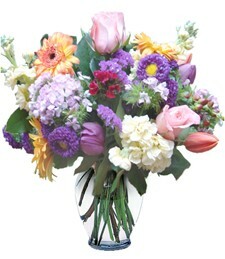 Exude sheer joy and touching beauty straight from the garden! 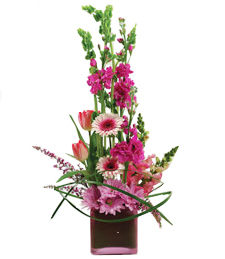 Brighten their world with this elegant display artistically arranged by a talented florist. 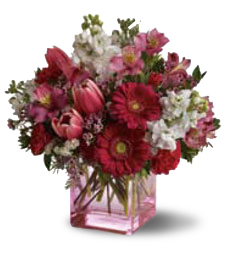 Delight them in style�order today! 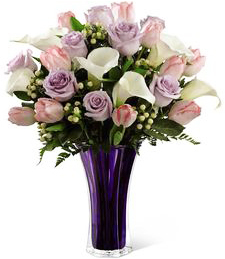 Graceful, alluring, and delicate, this brilliant bouquet of roses is a simply lovely way to express your feelings of affection! 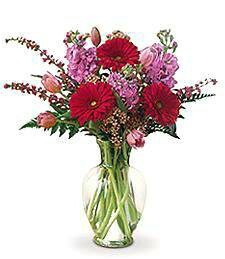 Radiant with pretty spring colors, this elegant bouquet adds a vibrant touch of delicate grace and refined luxury to the room. 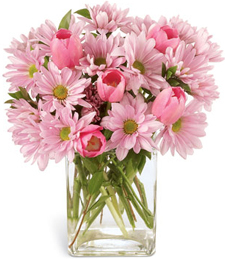 Mark the occasion in style�order today! 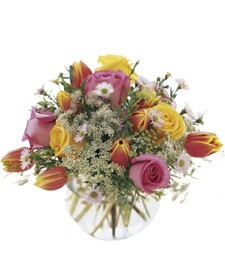 Gaze in speechless wonder at the sheer beauty of it all! 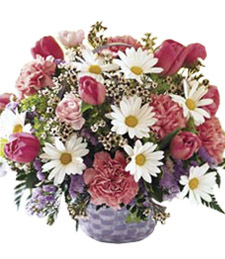 The sweet smell of spring radiates from this collection of fresh flowers! 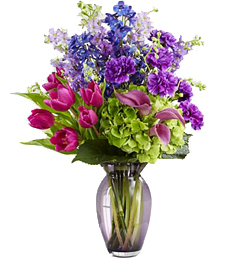 Spanning the rainbow in color and vibrance, the beautiful blooms exude charm and cheer, making them a truly luminous token of affection! 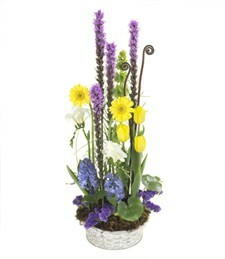 Graceful and elegant, this stunning dish bursts to life with vibrant purple and yellow flowers. 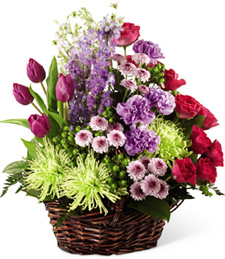 This vivid assortment of blooms radiates with natural beauty and sweet floral fragrance - an ideal gift for a special someone in your life! 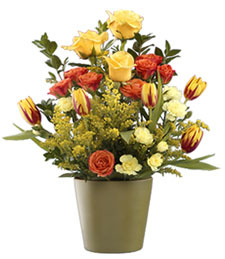 This vibrant and colorful assortment of yellow, orange and pink roses and tulips is a beautiful and lively addition to any occasion. 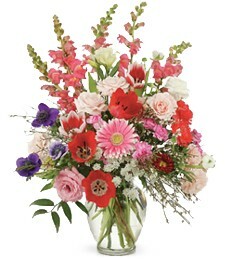 An explosion of magnificent, fragrant glory! 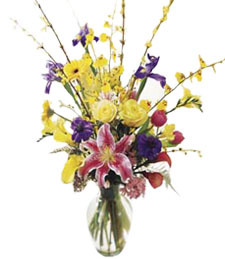 Take their breath away with this electrifying assortment of exotic, luxurious flowers radiating the beautiful colors of spring artfully arranged in a tranquil glass vase. Send today! 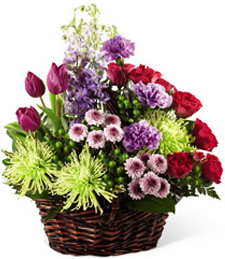 Experience all the beauty and colorful joy of spring with this basket of flowering glory! 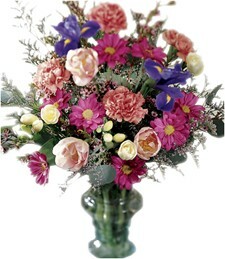 With lovely hues, fragrant roses, and darling accents, this charming display truly delights the soul. Send today!